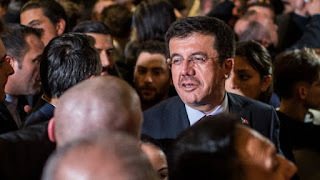 The Austrian authorities have barred Turkey's economy minister from entering the country to attend a rally to mark the first anniversary of the failed coup attempt. 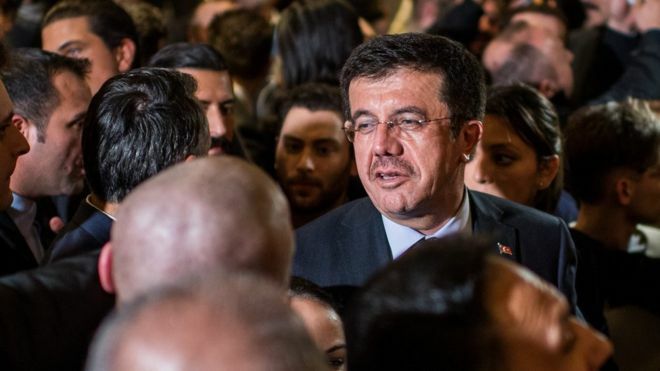 Nihat Zeybekci's visit would represent a danger to "public order and security", an Austrian spokesman said. Relations are already tense as Austria has criticised the Turkish government's response to the failed coup. Thomas Schnoll, a spokesman for Austria's foreign ministry, told ORF radio: "I can confirm that Foreign Minister [Sebastian] Kurz has in fact forbidden the Turkish economy minister from entering the country."